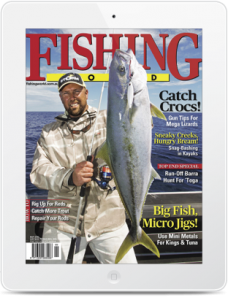 Fishing World has led the way to provide readers and advertisers with a truly interactive experience. We reach more than 400,000 people each month who are actively engaged in our content. Fishing World is beyond a magazine, it is also a media brand that interacts with people on a daily basis through the Fishing World website, e-Newsletter and on social media. 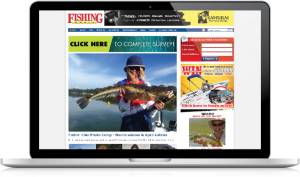 Fishing World has the largest, most trusted and influential reach of any fishing media brand. Fishing World, Australia’s premier fishing magazine, was founded in 1969 and has become known as the “sport fishing bible”. Fishing World is associated with many cutting edge angling developments including light tackle game fishing, land based game, jigging, lure fishing, salt water fly fishing, small boat fishing and tropical sport fishing. 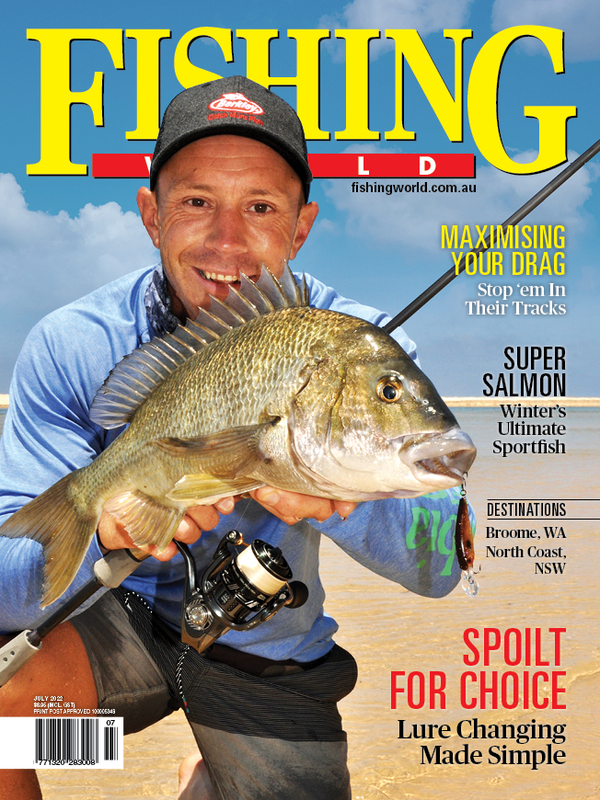 Fishing World magazine is complemented by Australia’s leading sport fishing website, Fishingworld.com.au. The site is mobile optimised and updated daily with news & events, videos, tips and a vast array of in-depth articles written by some of Australia’s most well known, trusted and influential anglers. Current unique visitors are over 85,000 per month. Our premium print offering is available online in digital copy via Zinio. Readers are able to access the magazine across all devices including desktop, tablet and smartphone. 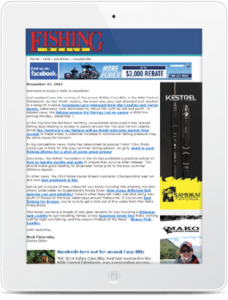 The Fishing World e-newsletter is sent twice weekly to 12,000 subscribers and is loaded with fresh content from the Fishing World website. The Fisho e-newsletter offers a more cost effective and direct route for advertisers looking for immediate ROI.